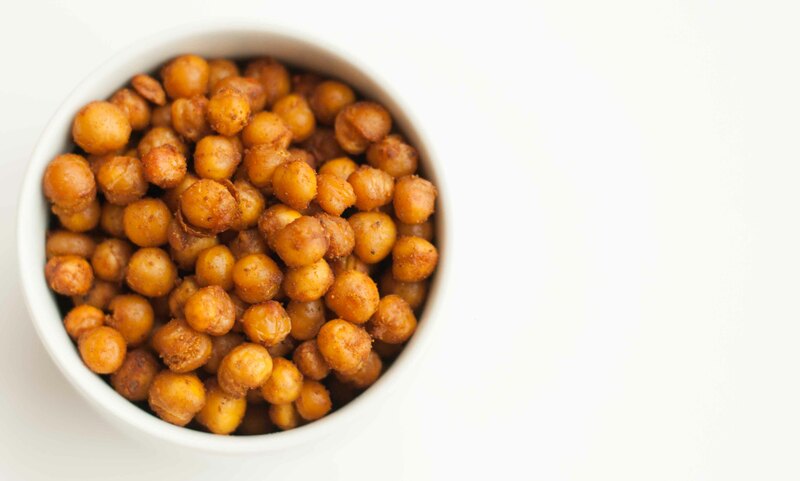 Drain the can of chickpeas thoroughly then put them into a bowl with the oil and spices. 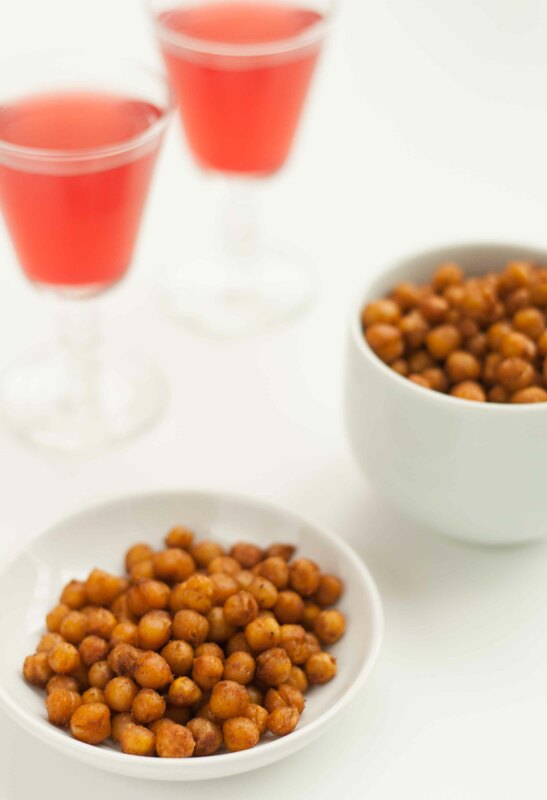 Season to taste, mix well and then spread out the chickpeas in a small roasting tin. Pop them into the oven for about 30-40 minutes until they are nice and crunchy. Enjoy!